A fine diamond detail enhances the Lismore Diamond metal giftware collection. Tiny embossed facets reflect light like a diamond, lending a twinkling aura to each piece. With unsurpassed sparkle, each piece will surely reflect well on the recipient as well as the gift-giver. 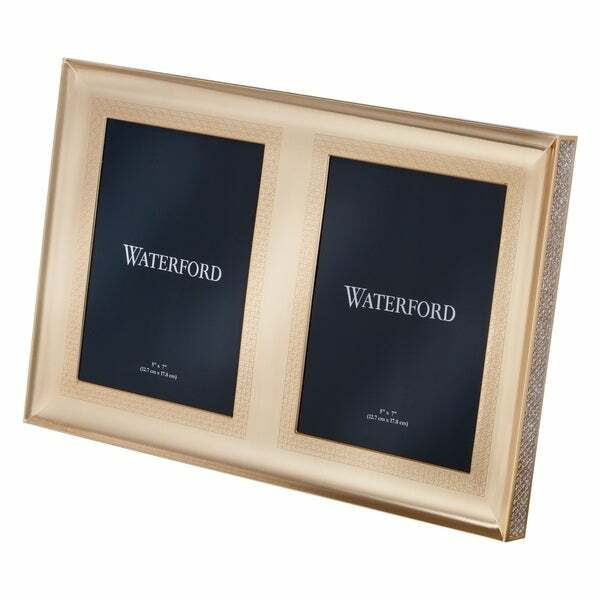 Celebrate your favorite treasured moments with the 5x7 Lismore Diamond gold or silver double frame. Dimensions 13.8 In. X 1.0 In. X 9.8 In.